Citizen Participation and Government unit contains 13 learning experiences. 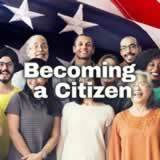 Students learn about the duties and responsibilities of U.S. citizens. They identify the differences between duties and responsibilities. Then they identify specific examples of duties and responsibilities. Finally, they propose a specific project to improve their community. Students learn about the history of voting rights in the United States, including the various amendments that extended these rights over time. They create a timeline of the significant events in that process. Next they explore voter registration and requirements and explain how voting has evolved since the country’s founding. Finally, students research and create a poster that reflects voting registration requirements for elections in their local and state government. Students learn how the presidential election process works. They identify key steps in the process of nominating a presidential candidate. Then they learn about the Electoral College—why it was created and the role it plays in the presidential election process. They present an argument in favor of or against the continued use of the Electoral College. Students explore the role of mass media in politics, including the types of media and factors that affect coverage. They learn about important ways to make choices about the news they consume, and they consider their own responsibility as consumers. Finally, they create their own piece of media that conveys their opinion about media and consumer responsibility. Students experience planning a civic service project. First they examine the two major preparatory steps for planning a solution to a civic problem: researching existing public policy and identifying what body is responsible for the problem. Then they analyze an example of a community project run by teens. Finally, they experience the steps themselves by choosing a problem, researching public policy alternatives, and developing a plan of action. Students examine multiple perspectives on the issue of immigration. They consider how, as an informed citizen, it is important to read and think about other people’s opinions and beliefs. Then they examine the use case of the Mejia-Perez family, who face deportation to Guatemala. Finally, they conduct research and write their own position on the question: Should illegal immigrants in the United States be deported if they are parents of children who hold U.S. citizenship? 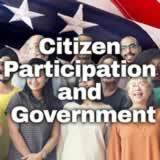 including the Citizen Participation and Government Unit.